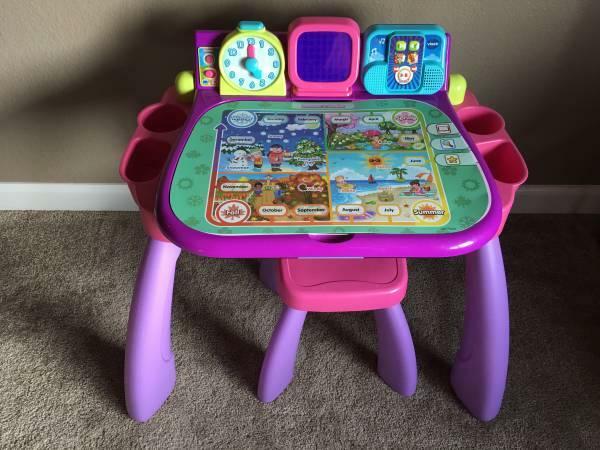 This listing is for a brand new - never really played with - VTech Touch & Learn Activity Desk. Batteries included. 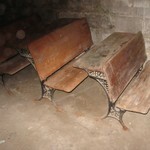 All the activity sheets and the seat. 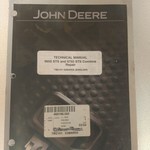 Detailed for $65 last year. Can buy now brand new for $50. 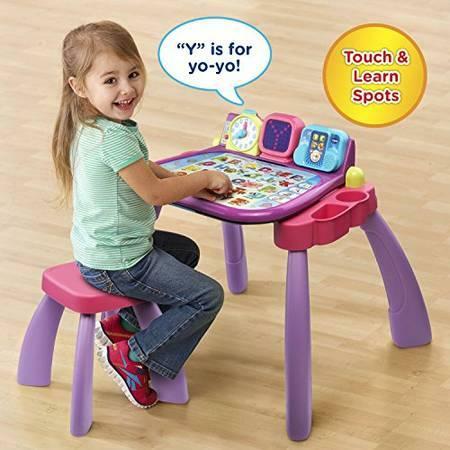 The VTech touch & learn activity desk is a fun, interactive learning desk, easel and chalkboard all in one! 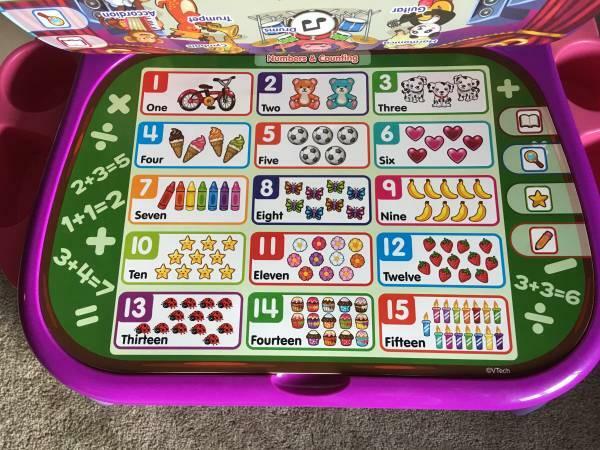 nine colorful touch pages bring learning activities to life. Kids can learn about farm animals, discover ocean creatures, explore the town map and more! each page has up to four learning modes with voice responses that encourage interaction and ask your child questions. Watch the LED screen to see how to write letters and numbers step-by-step. In music mode, read, write and listen to the music player that plays familiar melodies. Flip up the activity desk so your little artist can use the easel or built-in chalkboard. The desk also includes a pretend clock that introduces time concepts and tells what activities happen throughout the day. 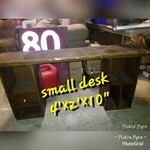 Get ready to learn and create with this 3-in-1 activity desk! 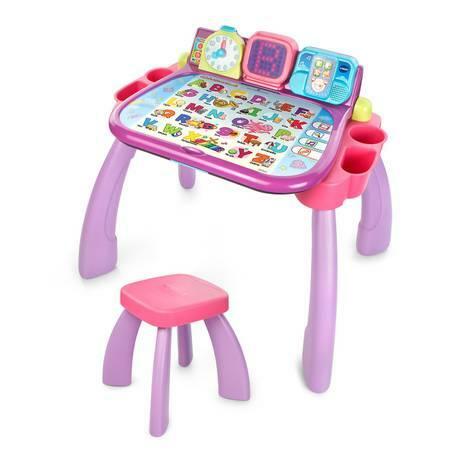 this VTech touch and learn activity desk is incompatible with any VTech touch and learn activity desk deluxe expansion pack.